Another BT looking halogen lamp, this one made by Feit, found it at the volunteers of America thrift store. Nice! 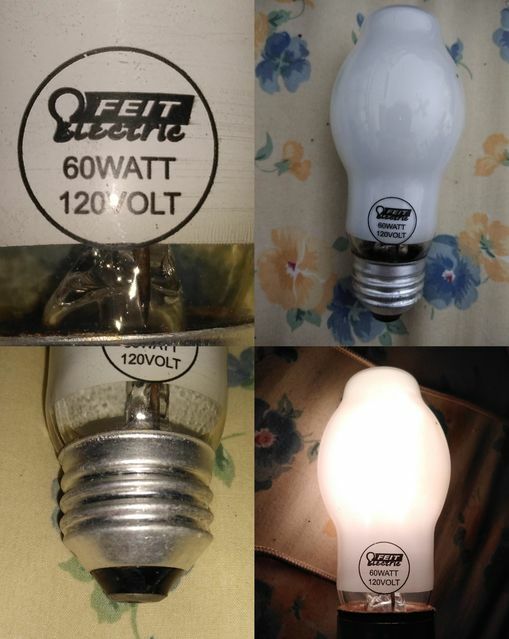 This 60 watt version can be safely used in smaller lamps. I’m sure this is rated for about 3000 hours.